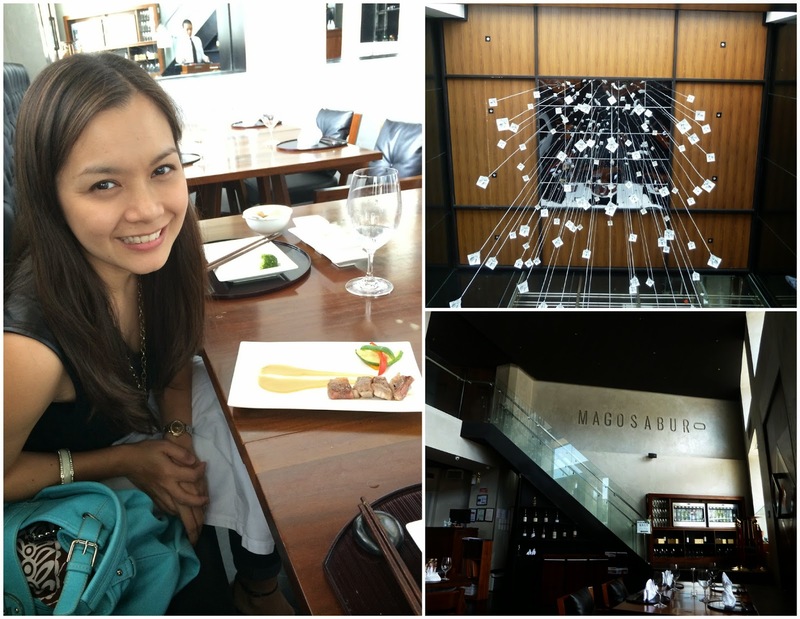 For no specific reason except to try something new (and escape from our kids hehe), my husband and I tried out Magosaburo at the Fort for lunch. We love Japanese food and we've heard that they've got something different and good to offer so we decided to find out for ourselves. 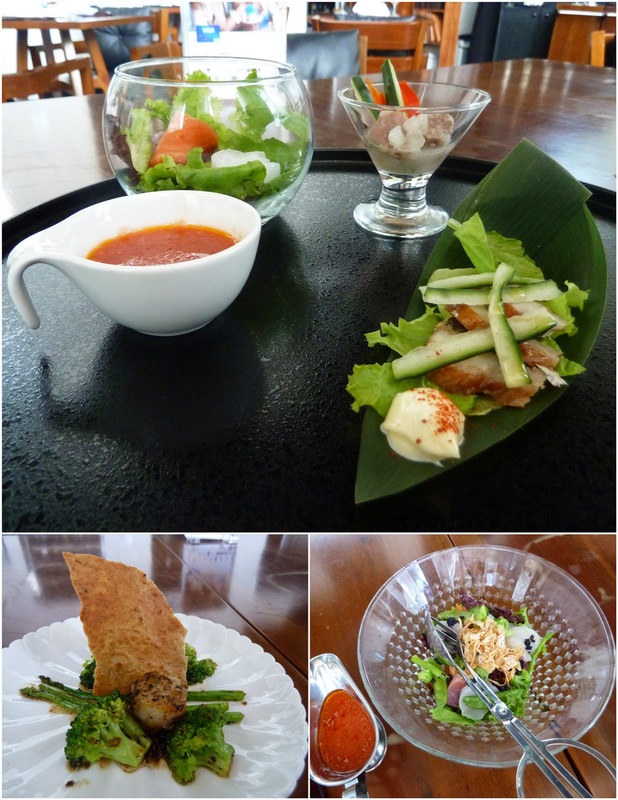 We had the Mixed Sashimi Salad apart from the Magosaburo Degustation but it didn't stop us from finishing each course. After the salad, we started off with a small appetizer of Iberico Ham, Cream Cheese Tofu and Strawberry (it was quite interesting). We had the assorted cold appetizer next (see photo below) and it came with a salad similar to what we already had (but I wasn't complaining because the salad was pretty good!). 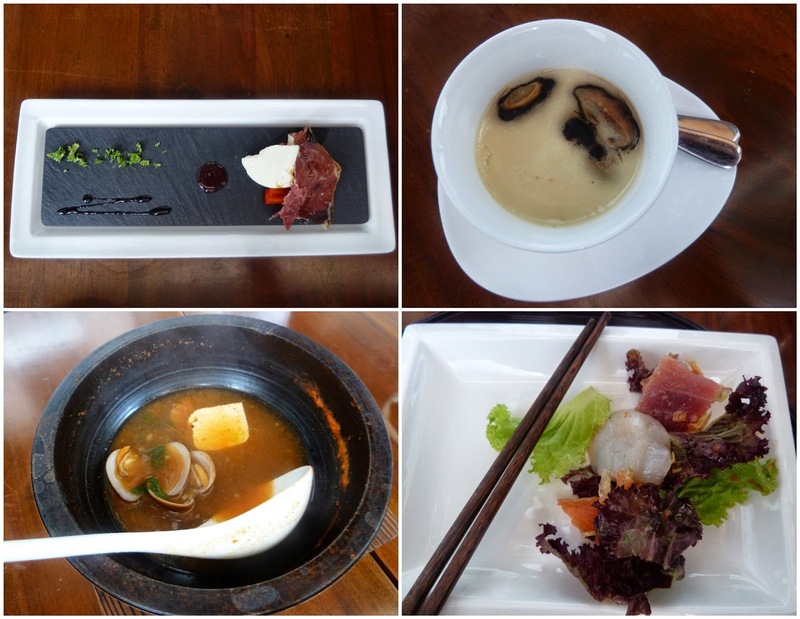 The Foie Gras Chawanmushi wasn't available that day so they replaced it with a seafood and mushroom version which I thought was really good and surprised my palate! I actually enjoyed this very unique dish. our Mixed Sashimi Salad with Tomato Dressing. 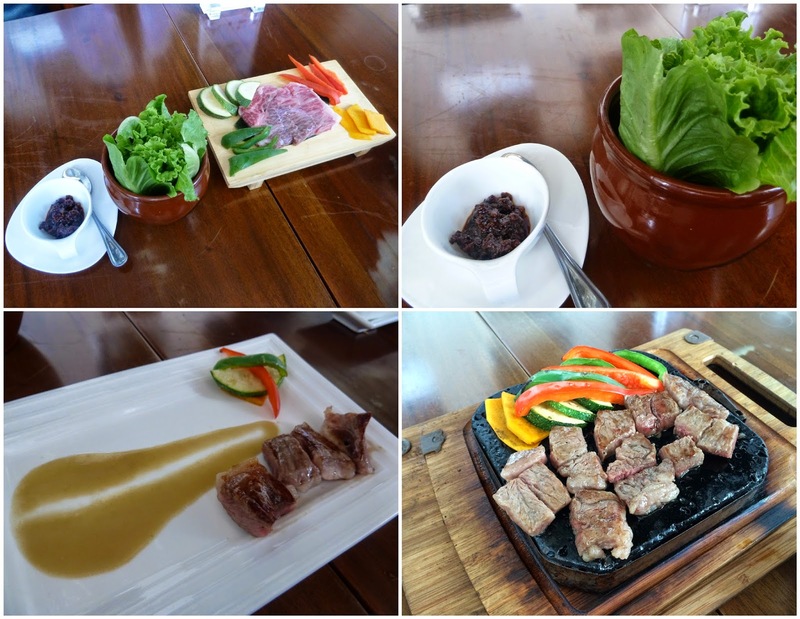 And finally, here's the much awaited Japanese Sirloin Wagyu Steak which did not disappoint! It practically melted in our mouth :9 After cooking it in the lava stone, it was served together with lettuce leaves and wasabi sauce. You can either eat it as is or wrap it around the lettuce. As if the steak wasn't enough, the Degustation also included a Japanese Style Chicken Rice in a Hot Stone Bowl. We were kinda full by the time it was served so we were pretty slow with eating it haha! 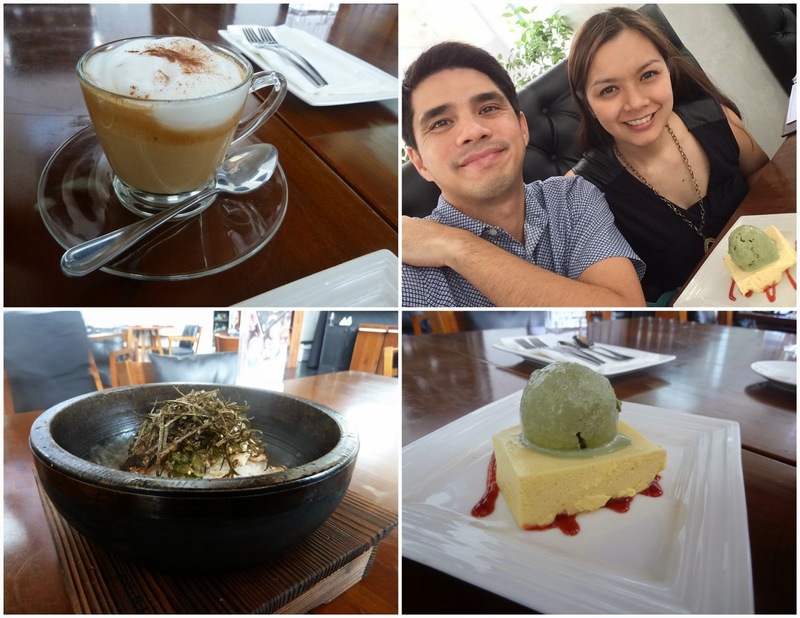 We chose Matcha Ice Cream to go with the Philippine Mango Mousse and I had it with a Latte Nespresso Coffee.